The vast world of Minecraft contains a diverse range of Biomes. With this Minecraft Mini-Figure Desert Biome Collector Case, you can display all your favorite mini figures (sold separately) in an awesome desert biome themed case! 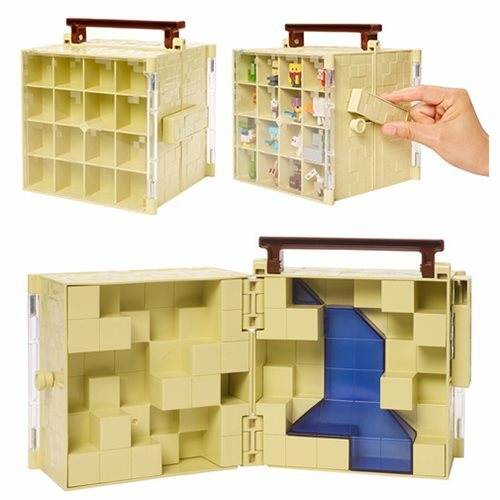 This collector case features a transparent display grid and it opens up to reveal a desert-themed environment, which allows you to play with your mini-figures. Take the fun on the go by carrying it by the handle. This item is a must have for all fans and collectors of Minecraft items! Ages 6 and up.